Space messengers: Private or public? Time for a meteorite hunt! The biggest meteorite in a century struck Chelyabinsk, Russia, on Feb. 15, when an asteroid about 55 feet (17 meters) across, with a mass of 10,000 tons, exploded in the upper atmosphere. The explosion and fireball released about as much energy as a 500-kiloton atomic bomb — 30 times more than the bomb that devastated Hiroshima in 1945. 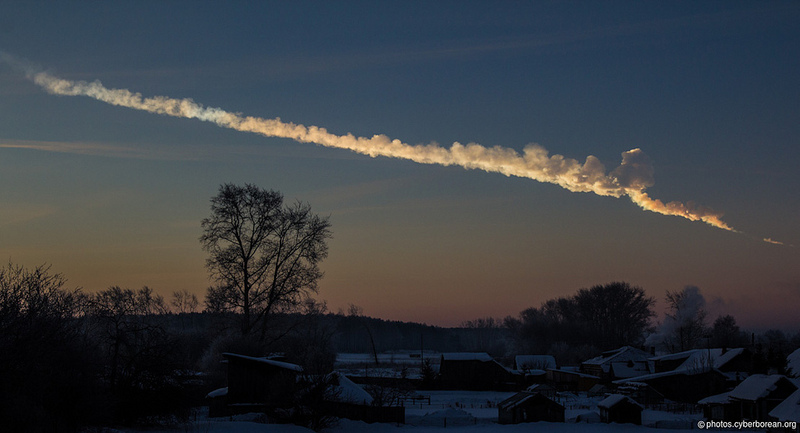 This is the meteor that flew over the Urals early on the morning of Feb. 15, 2013. The fireball exploded above the city of Chelyabinsk, damaged dozens of buildings and injured hundreds of people. This photo was taken about 200 kilometers away, about a minute after the photographer saw the blast. Shock waves through the atmosphere caused widespread destruction. Flying glass from thousands of broken windows was the major cause of an estimated 1,200 injuries. But as the physical and emotional shock wore off, residents began collecting fragments. Soon, as happens after any substantial meteorite falls, professional meteorite hunters and go-betweens were buying fragments of space rock from locals. 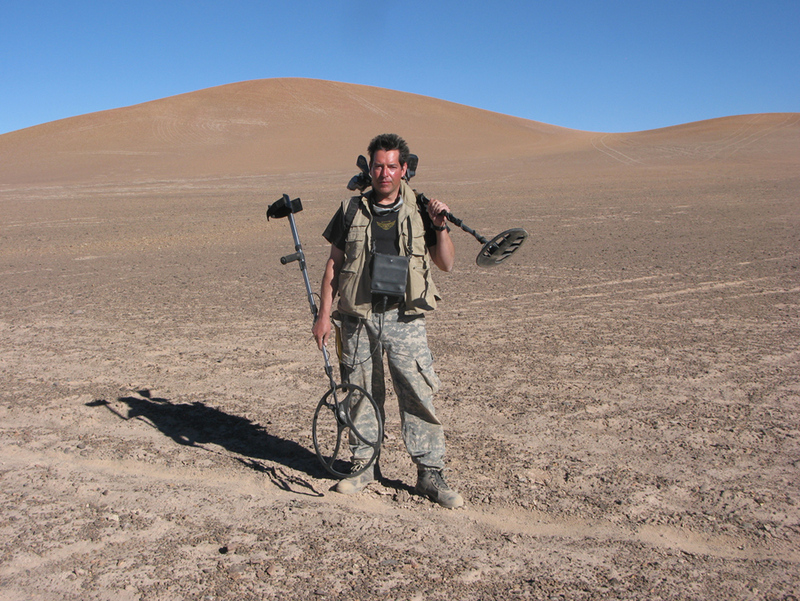 Geoff Notkin, one of TV’s “Meteorite Men,” searches for rocks from the sky in Chile’s ultra-arid Atacama Desert. The sale of major fossils to private collectors often sparks a chorus of scientific caterwauling, concerned that scientists will be barred from private storehouses sequestering significant samples of natural history. Do professional meteorite hunters and the market they feed harm science even as they cater to people who covet chunks of ancient space? 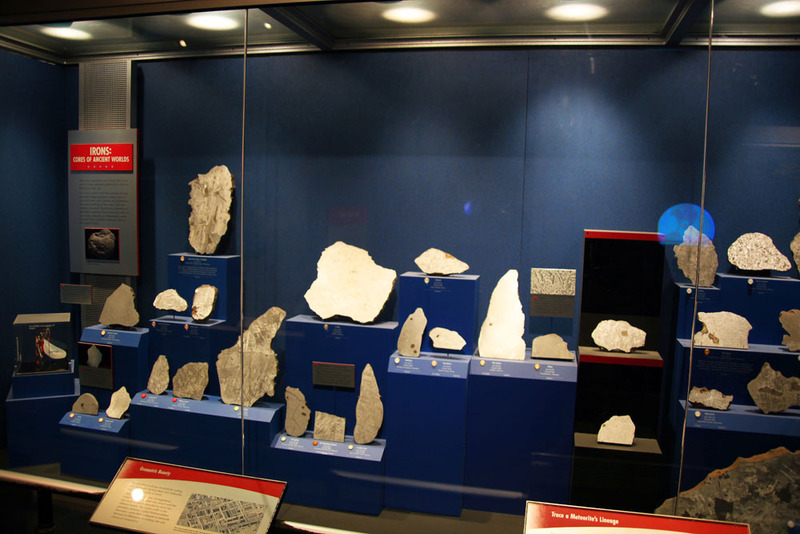 Great collections like the one at the Smithsonian Museum of Natural History set the standard for meteorite displays — and also raise the price of the rarest, most astounding examples. Meteorites formed as the solar system coalesced from the primordial cloud of dust about 4.56 billion years ago. Since then, their surfaces have gathered dust, and many have suffered a gigantic collision with another asteroid. In the last few seconds of their lives, they get a black “fusion” crust as they burn through the atmosphere. Nonetheless, meteorites are unchanged in comparison to rocks on Earth, which have been altered by squeezing, heating and chemical reactions over the eons. And that makes these messengers from the deep solar system deeply important to science. Some meteorites are not just time capsules from the ancient solar system: the most intriguing space rocks were blasted from the surface of the moon or Mars by asteroid impacts. “They are our only tangible samples of material from Mars,” says Carl Agee, director of the Institute of Meteoritics at the University of New Mexico. Agee says even rarer meteorites — blasted from Mercury or Venus — could be lying on some farm field or ice sheet, awaiting discovery. Meteorite hunting has transcended the “farmer finds weird rock” phase, Harvey says. “Before 1950, virtually all of them were found by farmers in fields, maybe they were plowing and hit something, or saw it fall and rushed over to pick it up. Later, most were recovered because they hit a building, a car or a road. In the last five to six years, most are now found after being seen on a video camera or other monitoring system,” such as weather radar. 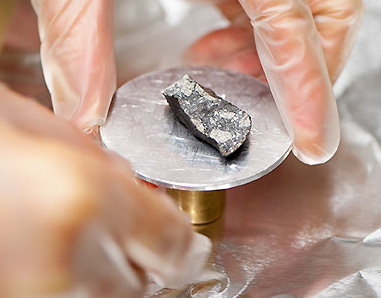 Noriko Kita, director of the Ion Microprobe Laboratory at the University of Wisconsin-Madison, removes a piece of rock, believed to be from the April 14, 2010 Mifflin meteor in Southwestern Wisconsin, from a scanning electron microscope. The fragment was found by a Wisconsin farmer and brought to the university for analysis. After a big fireball, hordes of meteorite hunters are likely to descend on the impact zone, and they now use technology to find elusive rocks hiding across a broad landscape, says Richard Slaughter, director of the Geology Museum at the University of Wisconsin-Madison. Radar records and metal detectors are standard techniques to combat the “needle in haystack” problem. Metal detectors, Notkin says, are most useful for iron meteorites (typically about 93 percent iron) and stony-iron meteorites (about 50 percent iron). Detectors will also detect the more common stony meteorites, typically containing about 20 percent iron, but with more difficulty. Laws governing the collecting of meteorites vary widely, but they are unambiguous in Antarctica, where the scouring wind leaves dark space rocks exposed on the snow. Because the Antarctic treaty forbids private ownership of rock or ice samples, the U.S. Antarctic Search for Meteorites program, now in its 35th year, delivers meteorites to NASA, which catalogs and distributes them to scientists who can make a convincing case for their need. Though these rocks are probably not meteorites, the contrast between rock and ice is written in black and white. 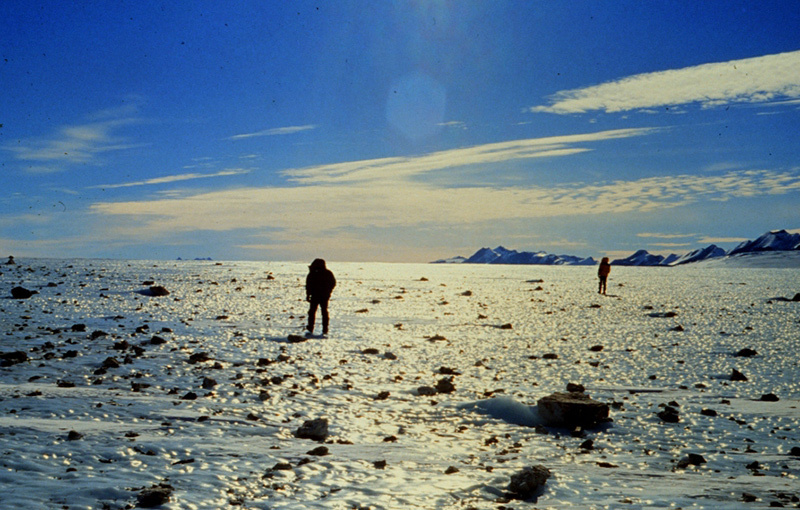 The Antarctic survey team frequently retrieves more than 100 meteorites in a day. At the other extreme, meteorites in the United States belong to the owner of the land they smash into. In 2012, the U.S. Bureau of Land Management issued new rules that permit “casual collection” on BLM land, but require a permit for commercial and scientific collectors. The growing number of people who march, heads down, across the landscape after a fireball are not always easy to categorize. Some are focused on making money on what they find, but most are probably “meteorite enthusiasts, the true collectors who end up spending money on meteorites, not making it,” says Agee. However, some collectors are happy to sell when the opportunity arises, and meteorite dealers may also hunt. 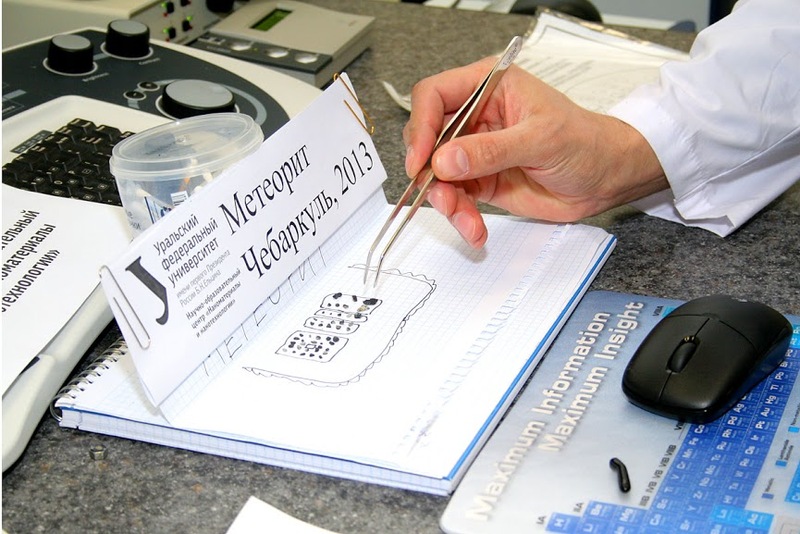 Meteorite chips from the recent Chelyabinsk meteorite under analysis at a nanomaterials laboratory at Ural Federal University in Russia. The publicity surrounding meteorites can actually pull samples off the woodwork, says Notkin. The “Sterley pallasite,” for example, sat for six decades on the family mantelpiece, but when it was analyzed at the Center for Meteorite Study at Arizona State University, it was recognized as one of only 86 known pallasite meteorites. The Sterley pallasite was discovered about 1950 by a Texas farmer, but was not classified or analyzed until 2012 when the finder’s family saw an episode of “Meteorite Men” on television. Pallasites are composed of approximately 50 percent nickel-iron and 50 percent olivine. Roll over photo for a detail of a full slice after preparation; the translucent areas are olivine crystals. 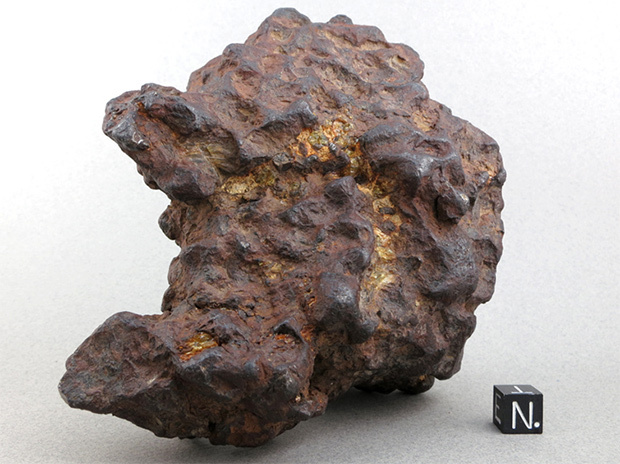 Notkin’s business, Aerolite, bought the meteorite, donated part to Arizona State, which had done the classification, and distributed parts to six researchers worldwide. “This meteorite turn out to be completely new and extremely rare, it’s one of the most beautiful ever found,” says Notkin. Still, when it comes to the large, dramatic samples that museums want to grab eyeballs, the free market can impinge on short-budgeted university museums. Slaughter, for example, recently attended the Tucson Gem and Mineral Show, seeking a piece of a Martian meteorite, but the prices approached $1,000 per gram, and the University of Wisconsin Geology Museum had to decline. Life during the "other” Big Bang!